Geri and James had a "big" wedding planned, but decided to hold a surprise small and intimate wedding ceremony with only their parents in attendance, just two days prior. They hatched a plan to lure them into the magical Cork Forest at the National Arboretum in Canberra under the guise of a nice walk before a family dinner. I was a little nervous for them, but it worked. 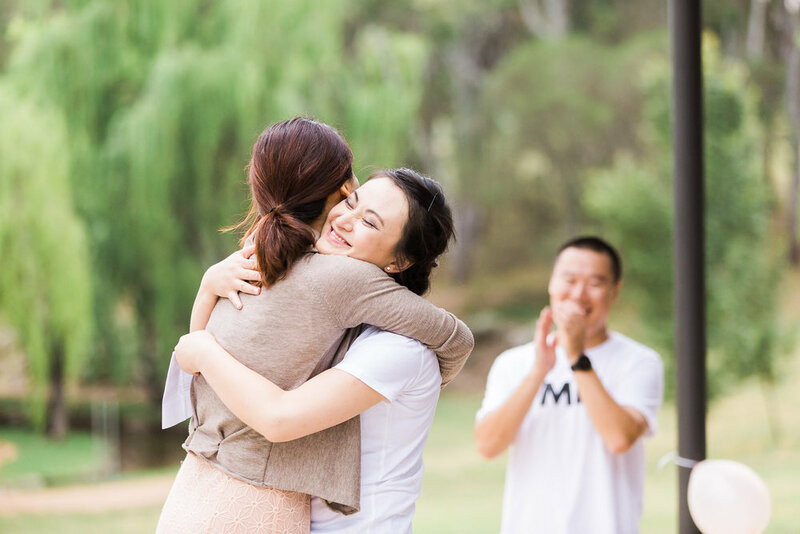 There were so many happy tears, it was a very special ceremony! Geri’s dress (designed by her sister of Designs by Melanie Ford) was a 1950’s inspired piece made from silk and tulle, looked gorgeous as she walked over the hill towards her parents and husband to be, James. 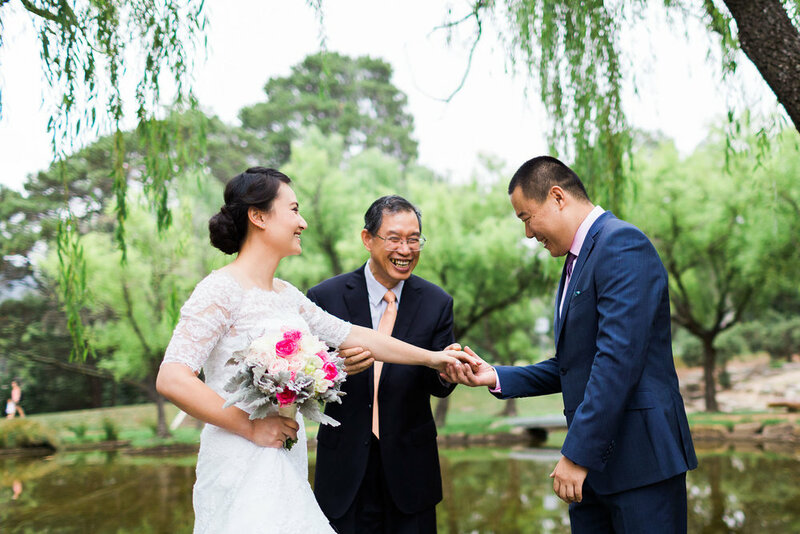 Steven prepared a simple but lovely ceremony in line with the couples wishes, they then moved to the nearby park bench to sit and sign the marriage certificate with each of their mother's performing the role of official witnesses. Congratulations guys, thanks for allowing us to be part of your day, and our best wishes for your future together! 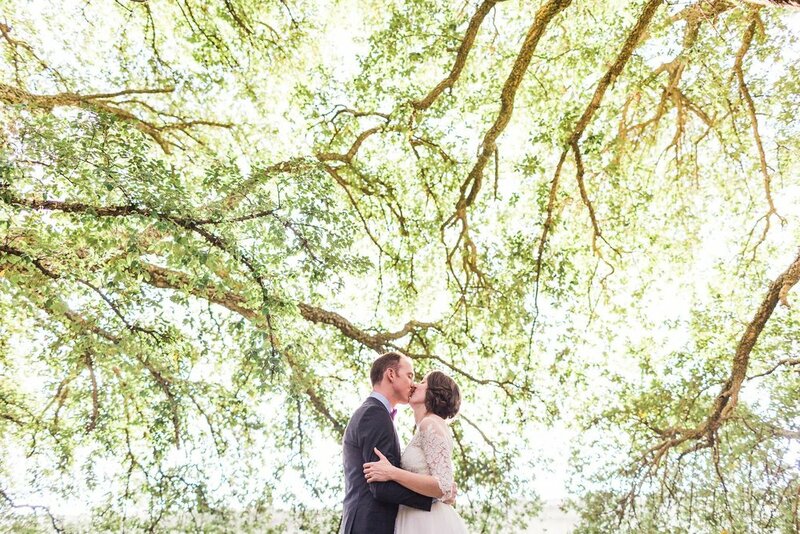 Everything about Renee and Evan's wedding was amazing. A self confessed "avid google researcher", Renee had everything planned to perfection! 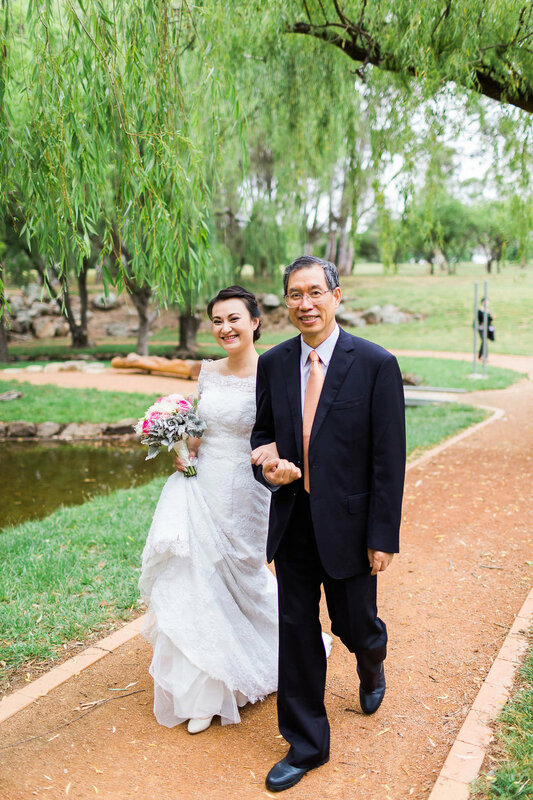 They wanted an intimate ceremony with family and close friends with a larger celebration to follow a few days later, and it was my absolute pleasure to be there to document it for them. Renee and her bridesmaids prepared for the wedding at the nearby Surveyor's Hill B&B in their stunning large apartment. The wedding ceremony was superbly conducted by Steven at Gold Creek Station in front of their beautiful new homestead. Things were still slightly under construction, but we got an exciting preview into what "Kinleyside Manor" will be like when it's finished shortly - just amazing! I hadn't shot there before, so it was just a matter of walking around exploring just some of the photographic features of the property - a massive fallen tree, a gum tree forest, farming relics, etc - with so much variety I could easily shoot there all day long. 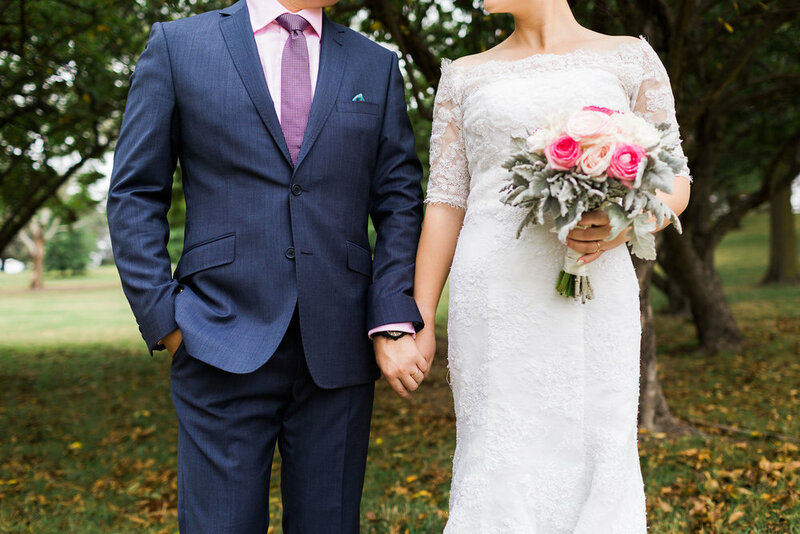 Congratulations Renee and Evan, we wish you all the happiness in the world as you start your married lives together - Michael & Steven (Canberra Small Weddings). If you're considering holding your wedding at the new Gold Creek Station then we'd love to be part of it, get in touch! 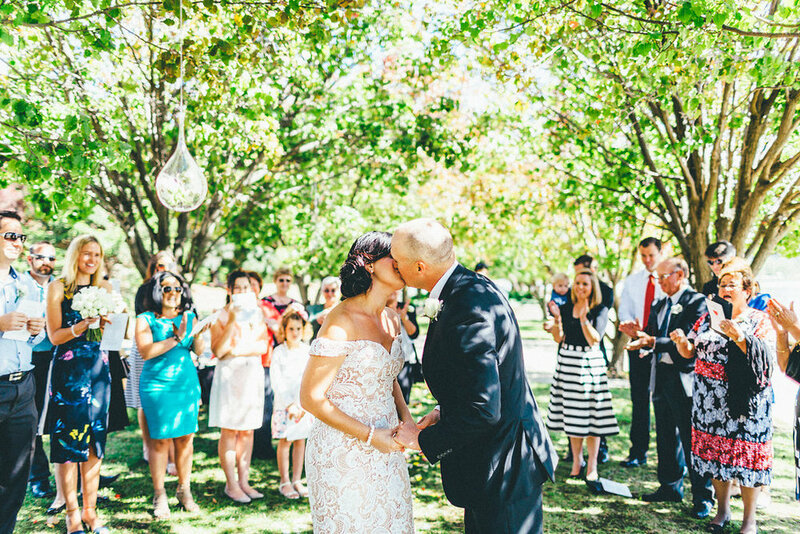 Kylie and Dave married over the Easter long weekend at Pialligo Estate in Canberra. 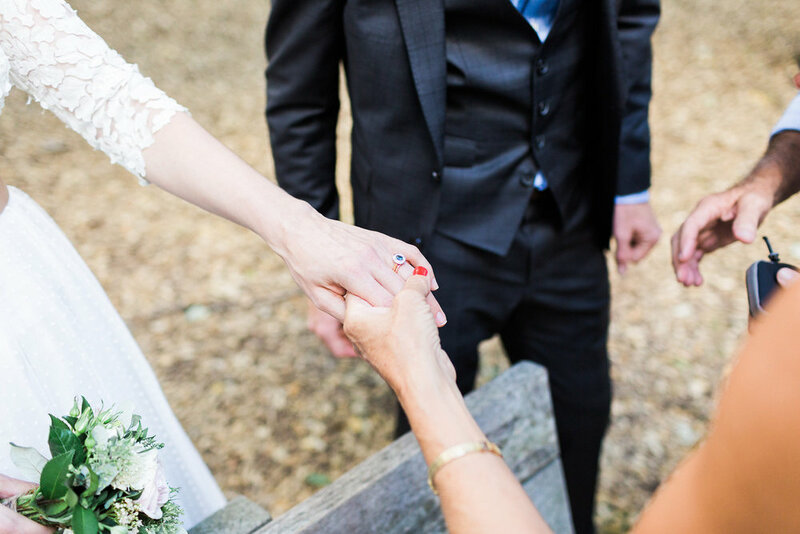 Having both established families previously, their now grown-up children formed the bridal party and stood beside them to support their parent's union in marriage. The sky was overcast, and rain did fall on us at one stage, but not that you can really tell from the light and airy photos! 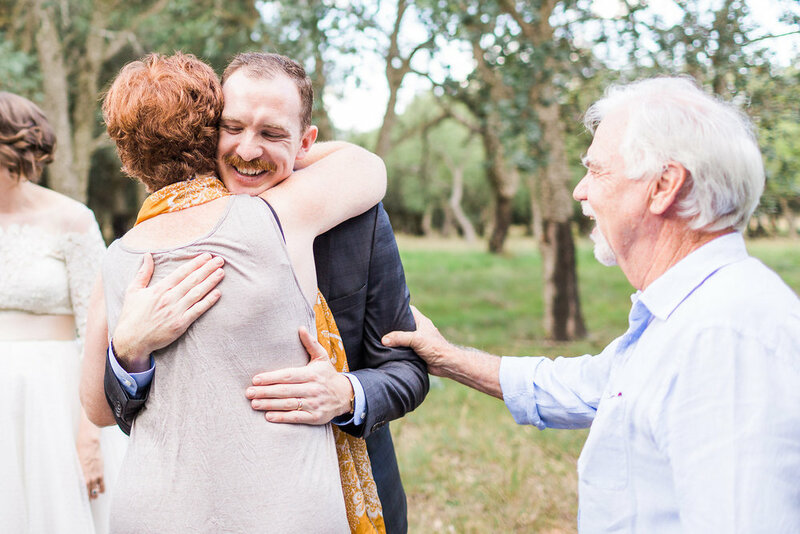 After the ceremony we took some photos in the vineyard and amongst the stunning olive grove down by the river before being chased inside the farmhouse by more threatening rain to cut the cake and get the celebrations started. The amazingly talented Lisa from Flowers with Love provided the stunning flower arrangements for everyone and the beautiful classic cars were from A1 Classic Car Rentals. 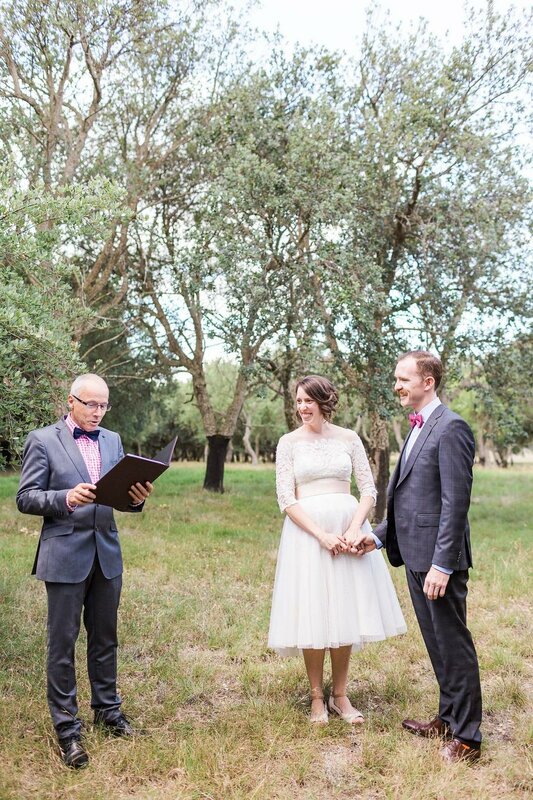 Congratulations Kylie and Dave, and thank you so much for allowing us to share in your day - Michael and Steven (Canberra Small Weddings). If you loved this wedding then check out a few more photos of this amazing venue from Monika and Jarrod's Small Wedding last year. 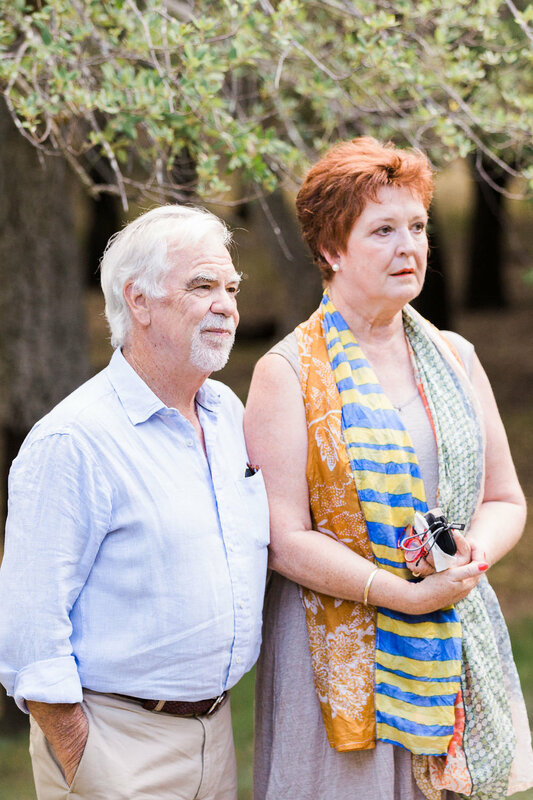 Mary and Shane met each other at a barbeque and so it was particularly fitting that they be married by the pond at Weston Park in front of close family and friends, followed by a relaxed barbeque lunch. Shane was a little nervous as he waited for Mary to arrive but when he first saw her in her wedding dress as she started to walk down the hill with her father, he couldn’t stop smiling. These guys are such a fun couple, they laughed throughout the ceremony, enjoying every moment of it and shortly after the photo session, they surprised everyone with a high energy dance routine! What a magical wedding! 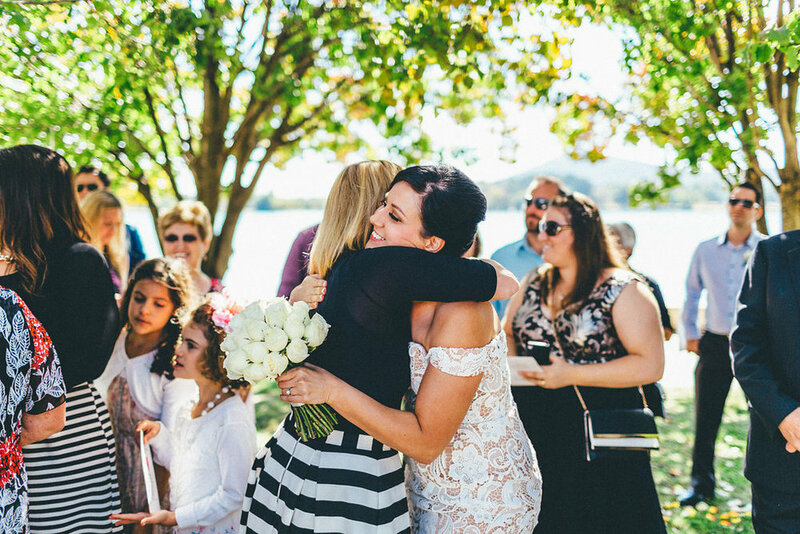 Monika and Jarrod are a beautiful couple who wanted nothing more than to be married in the company of their closest family and friends down by Lake Burley Griffin. 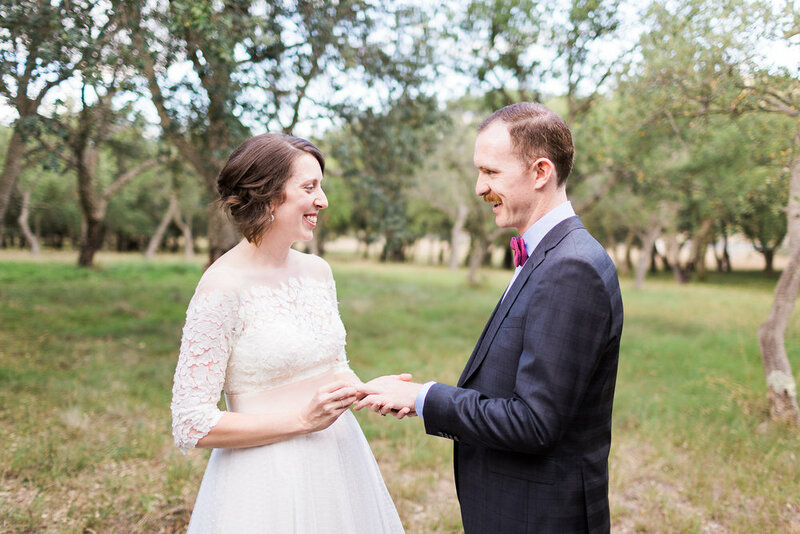 Their small and intimate ceremony was magnificently officiated by Steven Murray, and after a few family photos, we headed to the new Pialligo Estate Farmhouse so they could meet their guests for lunch. 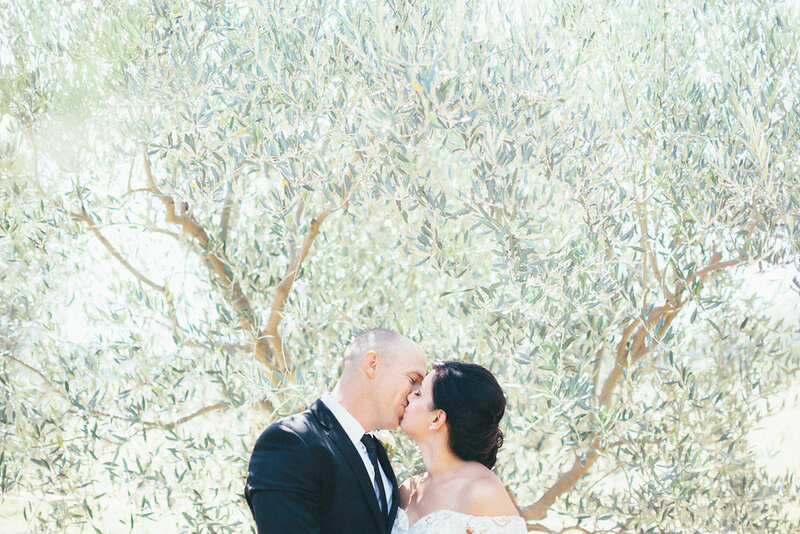 We had only a few moments with them out on the farm, so we headed down to a shady patch by the river, and dropped by the established olive groves for a few photos before they enjoyed the fine hospitality at this amazing new restaurant. 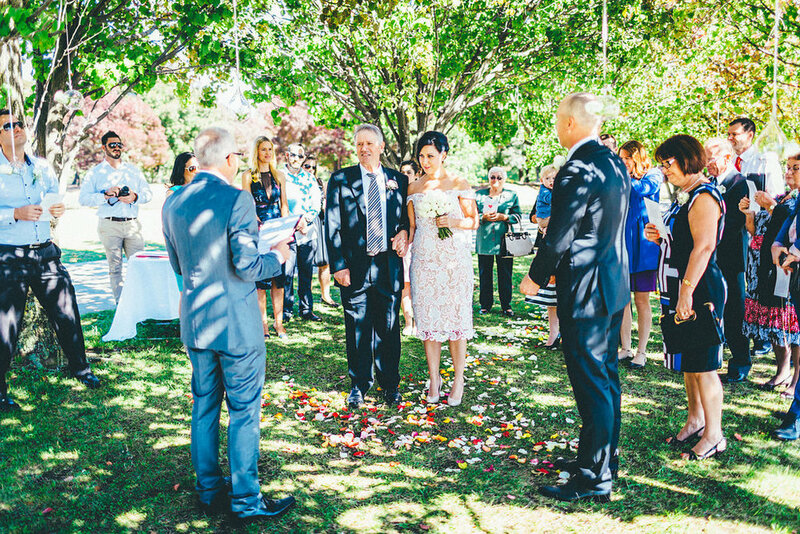 If you love the idea of having your own small and intimate wedding in Canberra then click here to find out more.